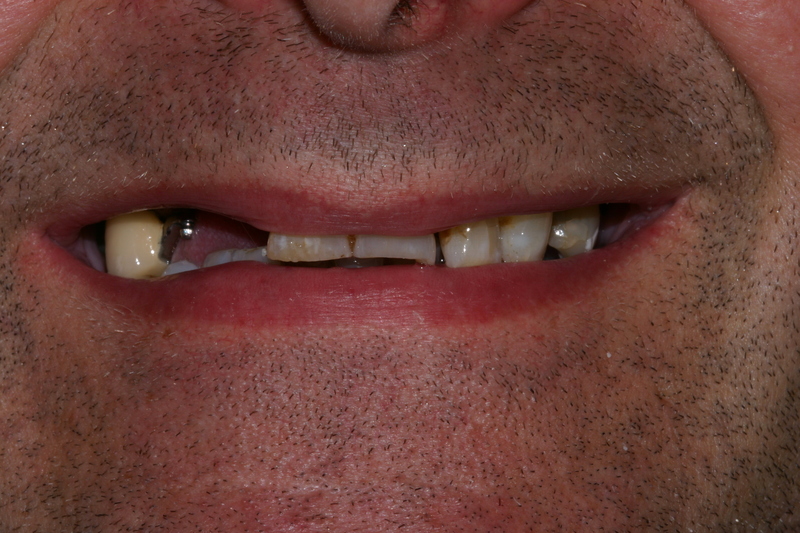 Richard had extremely worn teeth with a large number of gaps. His dentures were loose and uncomfortable. 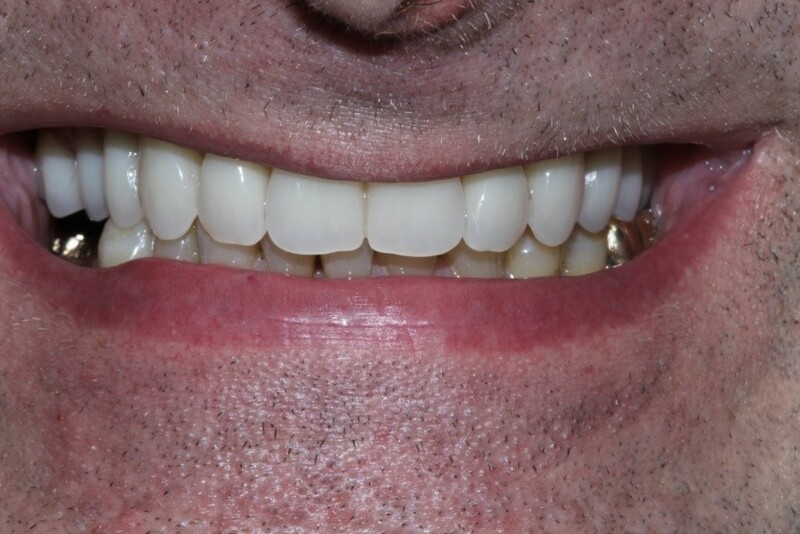 We extracted Richard’s upper teeth and placed an implant‑retained bridge. He said the most important change to him is his new self-confidence and youthful appearance.